Part of the Solah Shringar or the Sixteen Adornments of the Bride, Maang Tikka is worn on the center parting of the hair. It is made of a round center that falls on the forehead, with a string made of stones or metal and a hook at one end to hold it in the hair. Maang Tikka in Hindi, Nethichutti in Tamil. Earlier worn by only married women on their wedding day, this piece of jewellery is now used as a fashion statement with celebrities sporting it with western outfits. Ladies attending a close family/friend’s wedding too adorn it. It enhances the complete look in just an instant. Brides tend to use some contemporary ones to snazz-up their look for any of the pre-wedding ceremonies too! They come in various combinations of precious stones. 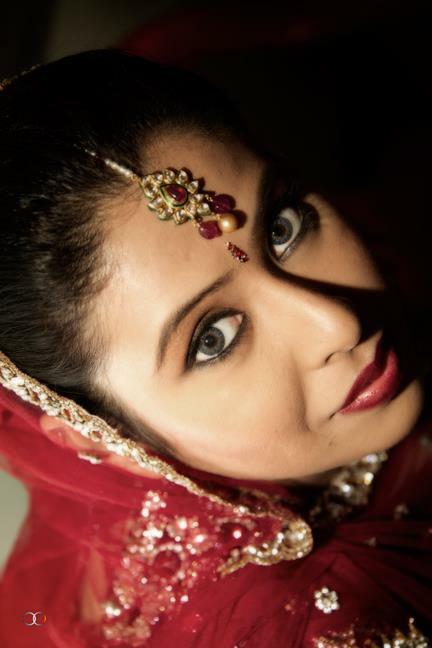 The North Indian Bride would mostly use a Kundan or Polki/Jadau one. The South Indian Brides would go for Gold and Diamond one. Pearl and other precious stones could also be used. There isn’t a definitive date when Women in India began using this piece of Jewellery. The Tikka sits on the Third Eye Chakra and signifies the union of the male and female elements of Nature. Traditionally, made from silver as it supposedly has a cooling effect on the bride.